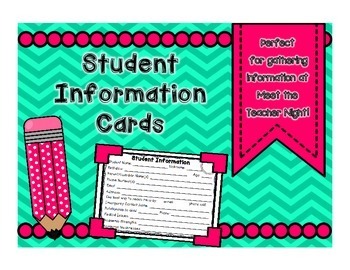 These are the perfect way to gather and organize student information throughout the school year! Print these cards on 5x8 inch notecards, front and back! 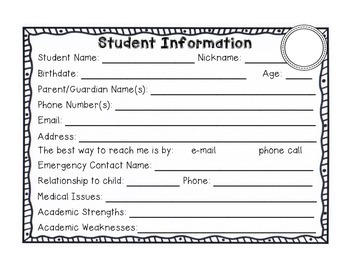 Pass them out to parents on meet the teacher night so they can fill them out! Hole punch the corner, put them on a ring, and hang them next to the phone! Viola! Now you have student information right next to you at all times! I have a circle in the corner for student's individual numbers (I give them a number at the beginning of the year) so it is easy to find information quickly! -Open in picture printing program. -In Printer Properties, you have to change to "Fit to Page"
-Do one side then the back! 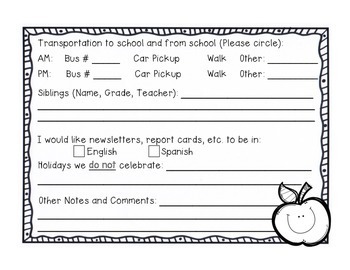 -Check with one card before printing them all! -Choose "Scale to fit" and "Print entire image"